Phone Services are available from many different providers - cellular, internet phone (Voice over IP) to good old land lines. This is good for you. 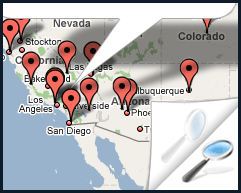 Only problem is finding the best phone deal for your particular situation/location. 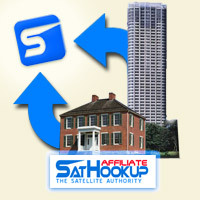 What is SatHookup SatHookup is the place you go to get all of your Phone Service needs - whether at home or business or on the go - we have you covered! Why SatHookup We carry almost all phone service providers(Cable Phone - VOIP, Vonage, AT&T) and the ones we don't, we allow to advertise on our site so you can decide what is best for your calling needs. 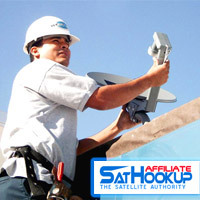 The SatHookup Network is an online directory of local phone services, along with the most up to date listing of active satellite installers. We support local, efficient business. SatHookup has local, long distance and international phone service from many different providers depending on your service area. Many locations have several phone service companies to chose from - meaning we can help choose the best package for you, or just provide the info and you can order online. Either way you're supporting small businesses that create jobs while getting the best rates when phone companies compete. 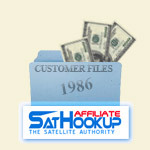 SatHookup's prices are the same - but you have two companies working for you now. SatHookup has many options to turn your small business phone system into enterprise status. Use Cable Internet to run a VOIP (Voice Over Internet Protocol) phone which can forward to your cell phone or classic land line phone.